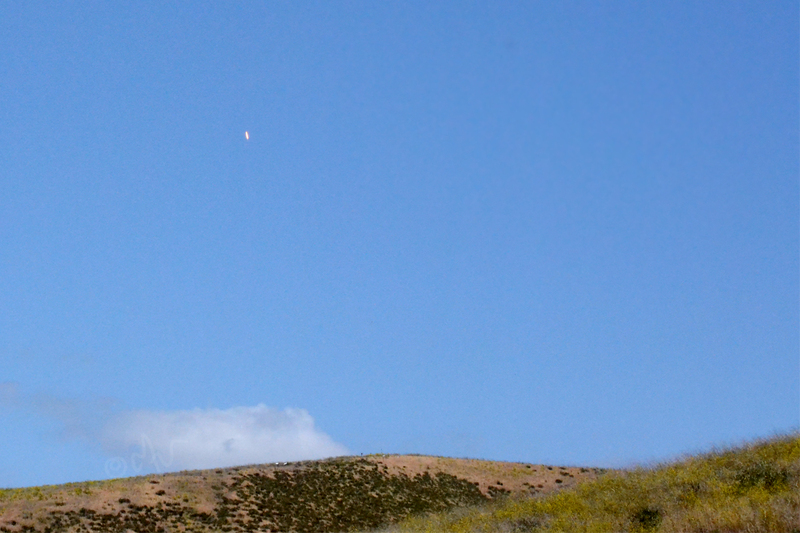 NASA hosted a social for their InSight launch between May 3-5. I learned about this event through @NASA’s twitter feed and had the privilege of attending once my application was approved. I am not by any means a scientist but have always been fascinated by astronomy and the laws of physics. Some of the guests who attended the social have a strong science background; others are artists or athletes. Most of them have a strong social media presence. You can view the list of attendees at the end of the video. The one thing we had in common is that we were all psyched to be there. 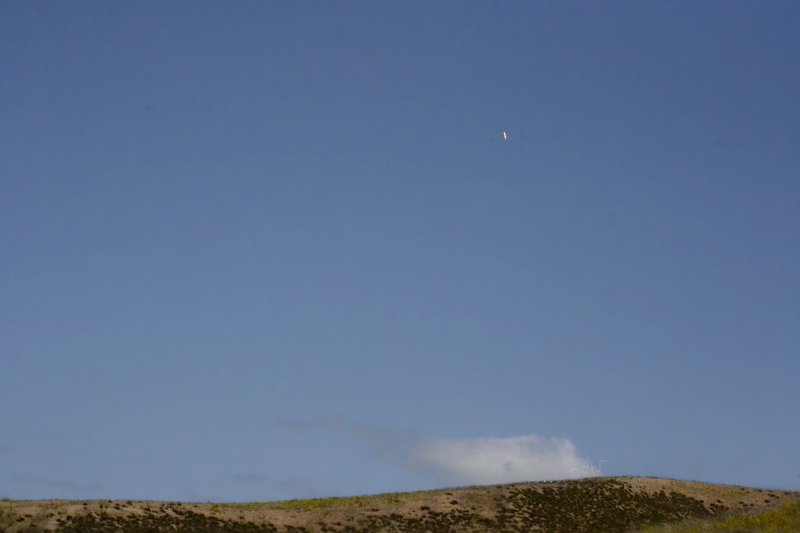 The lander was the first interplanetary launch from the West Coast. 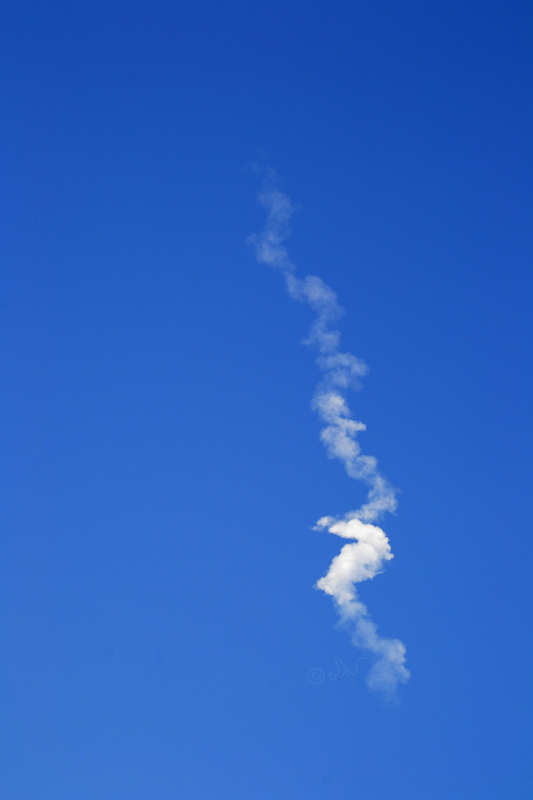 It was sent up on a Delta V rocket at 4:05 AM on May 5. Entre el 3 al 5 de mayo, tuvé el privilegio de asistir a un evento de la NASA para dar publicidad a su lanzamiento de la nave que enviaron a Marte para explorar la superficie. Invitaron a varias personas con mucha presencia en los medios sociales. Algunas trabajan o estudian en el campo de la ciencia, mientras que otras solo somos aficionadas. En este video comparto las sesiones de preguntas y respuestas durante las cuales los invitados pudimos aprender mucho sobre la misión. Mi amiga, su familia y yo intentamos ver el lanzamiente del cuete subiendo el cerro a las 3:30AM, pero había demasiada niebla y solo lo escuchamos. My friend Heather, her family and I hiked up Orcutt Trail at 3:30AM to try to witness the launch, but we were only able to hear it on account of the heavy fog. 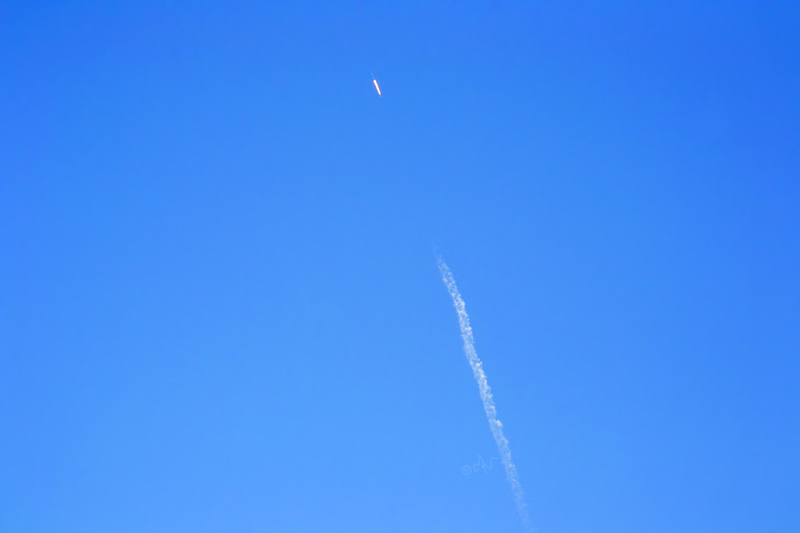 Today, May 22nd, at 12:47, another rocket was launched, this time by SpaceX. 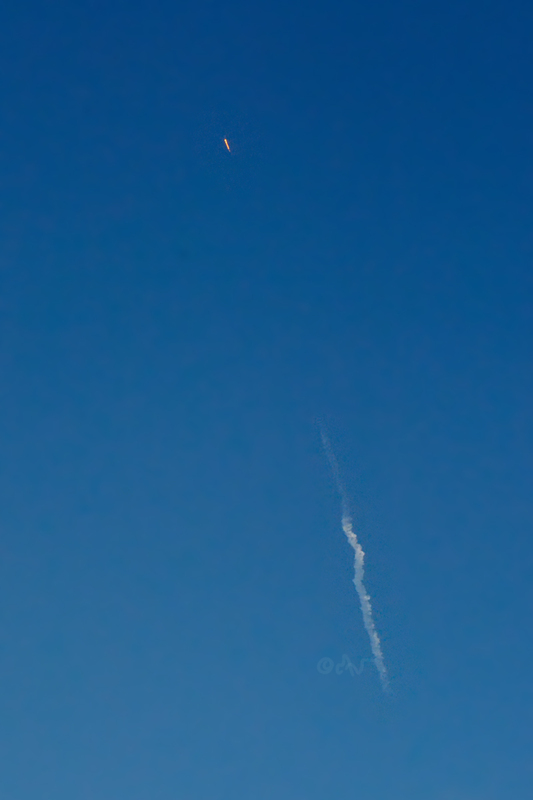 It was a Falcon 9 carrying five IridiumNEXT® satellites, to replace older ones, and two GRACE-FO satellites, to monitor fresh water on earth. 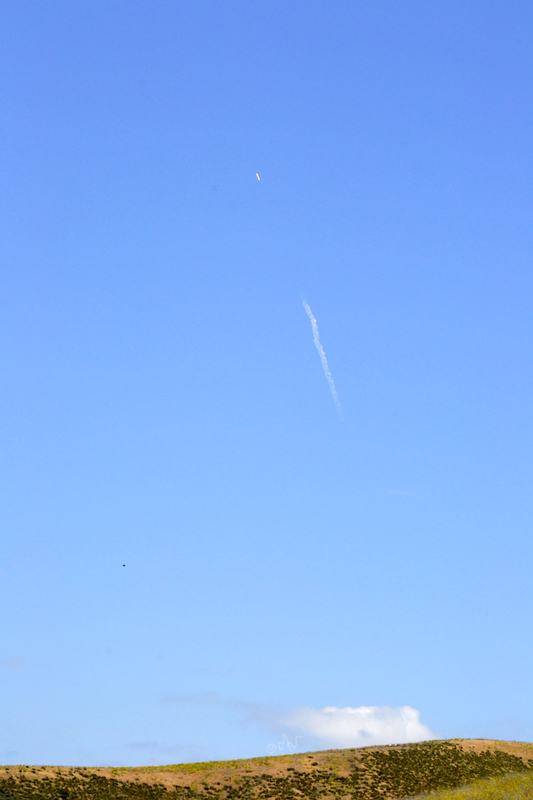 This time, I was able to see the rocket shooting into the blue sky above the hills near Gaviota. Hoy, a las 12:47, otro cuete fue lanzado, esta vez por SpaceX. El cuete portaba siete satelites, dos de los cuales se usarán para monitorear el agua fresca sobre nuestro planeta. Los otros cinco satelites son reemplazos para otros más viejos.